From skinning deer to opening boxes at work, a Camo folder is always a favorite. 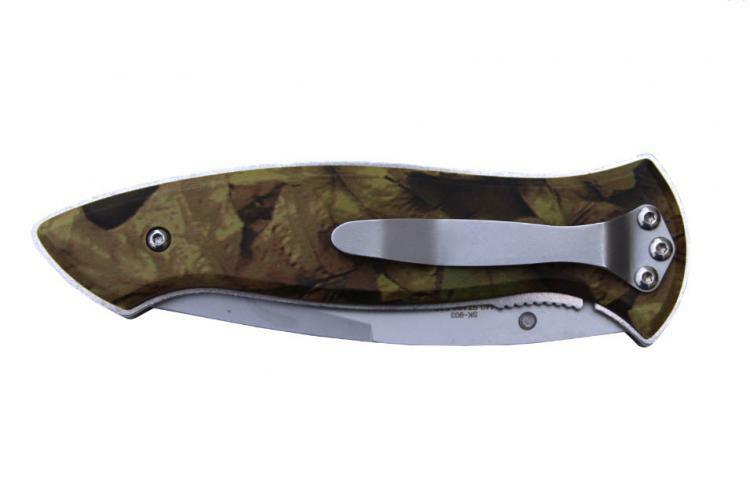 This practical knife comes with a 3.5" 440 stainless steel blade that neatly tucks away into a lightweight camo-coated aluminum handle with convenient pocket clip. Comes with liner lock system and ambidextrous thumb stud for easy one-hand operation. Price: $44.00 In stock! 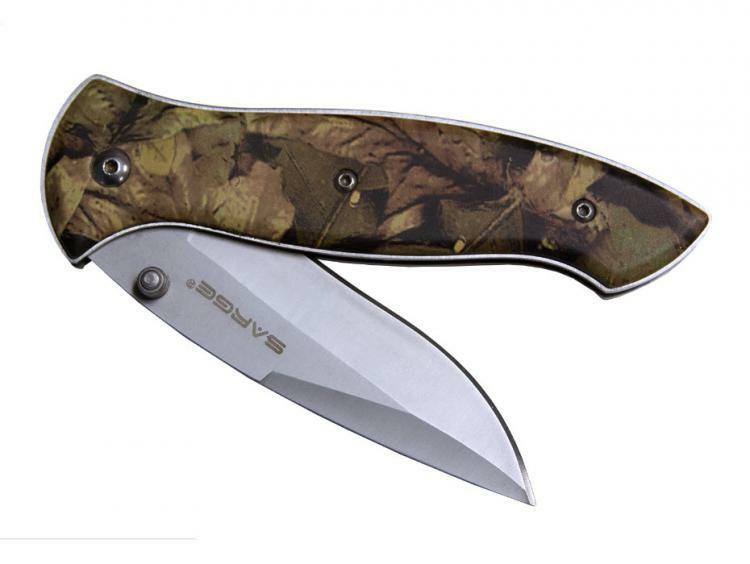 - Browse this brand: Sarge KnivesOur products are custom made to your specifications. This product ships up to 2 weeks after your order is placed.